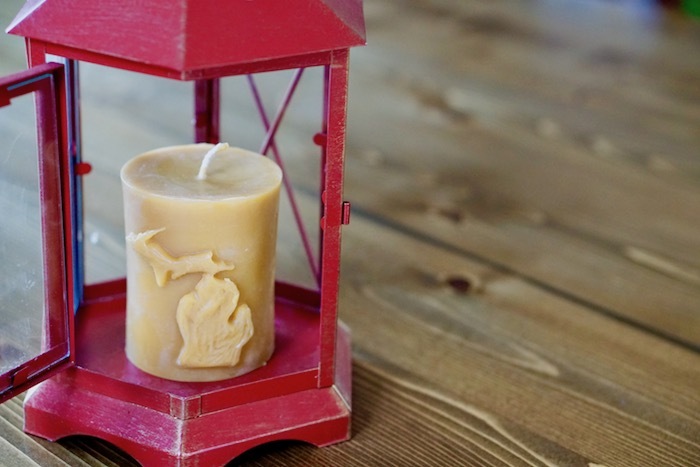 These clean burning, all natural candles are produced by Metro Detroit's own Green Toe Gardens. 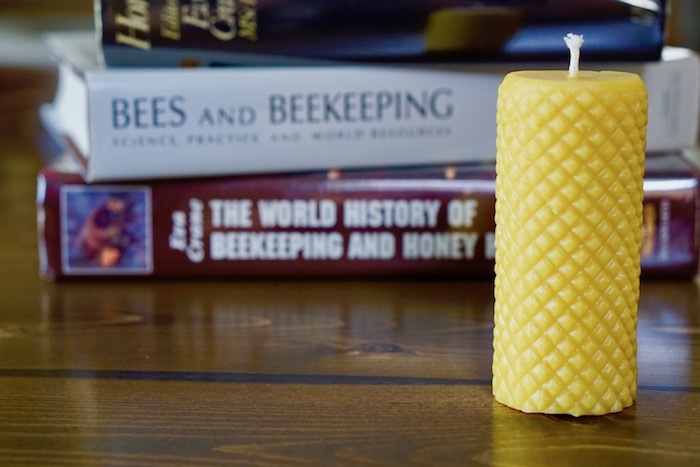 Made from 100% pure beeswax, their candles are meticulously handcrafted and handpoured! Enjoy the delicate and intoxicating honey aroma. This elegant diamond patterned candle is four and a quarter inches high by one and three-quarter inches wide and will burn for around thirty-eight hours. 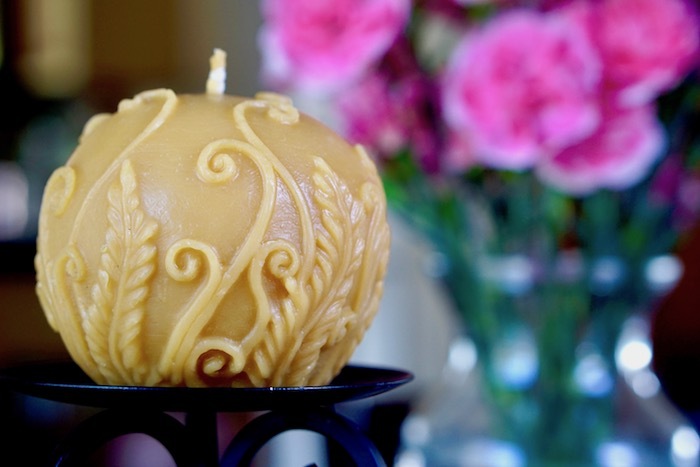 Candle color will vary naturally with the color of the beeswax from pale to bright yellow to brown. The color indicates the bee’s source of pollen and nectar, and age of wax in the hive. 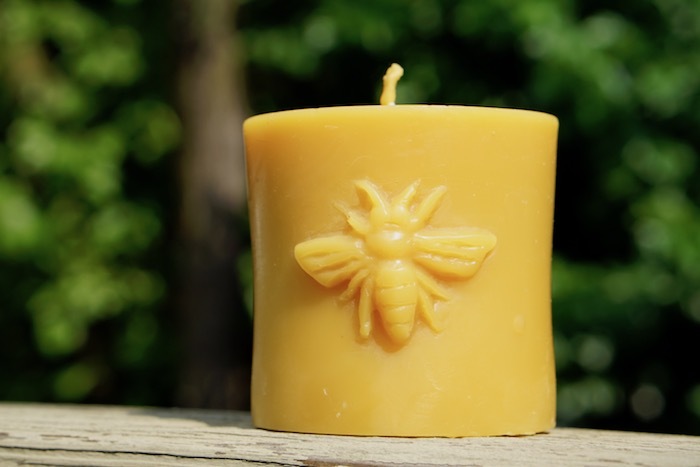 Darker wax is colored by pollen and propolis.